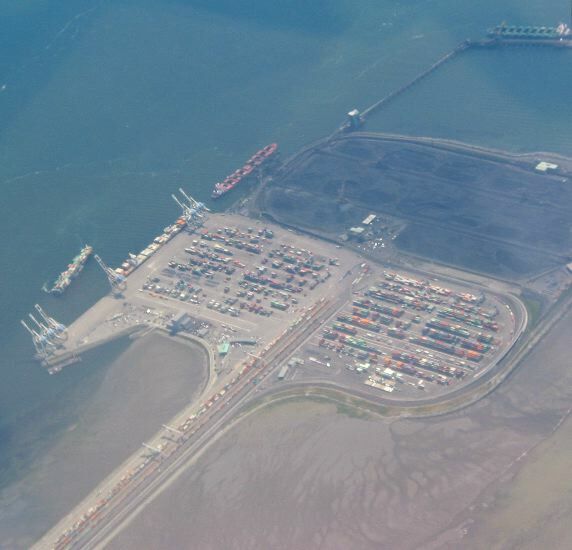 The Roberts Bank Superport (seen while looking south) loads coal from the B.C. interior off of trains and onto ships. A large percentage of the Port of Vancouver's annual tonnage moves through this artificial island south of the city.